Any contemporary story set (even partly) in Afghanistan runs the risk of appearing bleak, at least to western eyes. However, in spite of a sobering glimpse of life under the talaiban, it is Hosseini's examination of a series of overlapping relationships, which reveals the frailty of man and the attendant capacity for tragedy. At the outset, the narrator, Amir, is aged just twelve and has a close relationship with Hassan, the son of his father's servant. The characters are all subject to a social structure which ensures they know their respective places (Pashtun are the dominant tribe locally, while the Hassari are commonly regarded as inferior) but privately such boundaries are blurred. That is, until an incident witnessed by Amir challenges his ability to openly support his erstwhile friend. Amir and his 'Baba' are members of an elite class, but following the death of his mother, giving him birth, Amir grows up feeling distant from his father and desperate for his affection. However, he is no 'chip off the old block'. Baba is charismatic and courageous, a stalwart of Afghan society and Amir's sense of inadequacy is fuelled by the very positive attributes shown by Hassan and admired by his father. Kite flying, we learn, is an important pastime in Kabul culture and offers an interesting metaphor for life in the differing strata, contrasting the fliers with those subject to gravity, scrabbling for victory among the 'also rans'. Ironically, it is with Hassan's encouragement and help, Amir is able to excel at flying and inspire pride in his father. 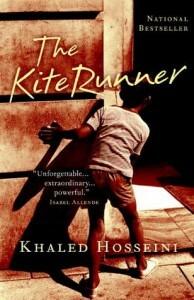 In a touching show of loyalty, Hassan even seeks to run down the last defeated kite in a kite-battling festival, to seal a memorable triumph for his friend. Yet, the euphoria is short-lived. In an impulsive and childish act, Amir deliberately sweeps Hassan aside, but in so doing unleashes a lifelong sense of personal guilt, magnified by the dignified self-sacrifice of his victim. In spite of everything, Hassan, by fluke of birth a member of the lowly Hassari tribe, demonstrates a superior magnanimity and notwithstanding the consequent prospect of destitution, stoically accepts the betrayal. Fast forward, and the overthrow of the royal family by the forces of extreme Islam and with it the social order that has secured their privileged positions, sees Baba and Amir flee Afghanistan. In the USA, notwithstanding their attendant poverty, Baba exhibits the drive to start again, though father and son are sustained by the cultural traditions preserved in the local Afghan community. Still, there is an inevitability in the need for Amir, the young man, to be confronted with circumstances in which he must return to his birthplace and seek to atone. This book is clearly well written and offers an interesting insight into Afghan society , both home and abroad. However, there is also the troubling spectre of child abuse, which is explicitly referenced and to my mind, diminishes the narrative. Not because it challenges some taboo, but rather it adds little value to the story and gives the impression that it has been included for gratuitous shock impact. Moreover, in the context of the book, such behaviour only occurs on foreign soil and could be construed as symptomatic of an inferior society, which given western trials of recent years, seems more than a little hypocritical. I acknowledge it could be argued that this may be a courageous addition on the part of the author, but on balance, for me, it detracts from an otherwise compelling read.